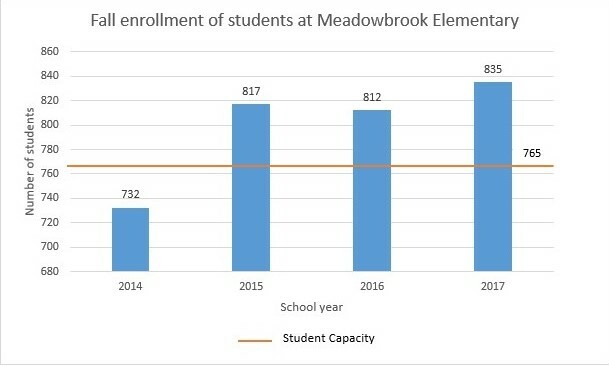 Meadowbrook Elementary School opened in 2012 to help alleviate overcrowding in other elementary schools, but just five years later, it too is out of room. Since the beginning of the 2015 school year, Meadowbrook Elementary has been over capacity, according enrollment data provided by Alachua County Public Schools. Overcapacity in schools is a district-wide problem throughout Alachua County, which has seen a rise of about 1,700 new students in the last three years. The primary schools are the ones feeling the brunt of the problem. A school is considered over its capacity when there are more students attending the school than originally intended when it was constructed, Johnson said. The figure is based on how many students can fit into classrooms and core facilities such as media centers and cafeterias, not including portables. Sixteen of Alachua County’s 20 elementary schools are at or above 95 percent capacity, according to Johnson. Twelve of those 16 schools are over 100 percent capacity. There are over 300 portables in use across the county, majority of which are at elementary schools. The problem isn’t limited to just the classrooms. “Another issue that we have to look at is the core facility capacity at our schools and whether or not it’s big enough to handle the number of students there are at that school,” Johnson said. Cafeterias at Idylwild, Wiles and Terwilliger elementary schools cannot accommodate the student populations. Lunch is served as early as 9:30 a.m. to get all the students through the lunchroom. 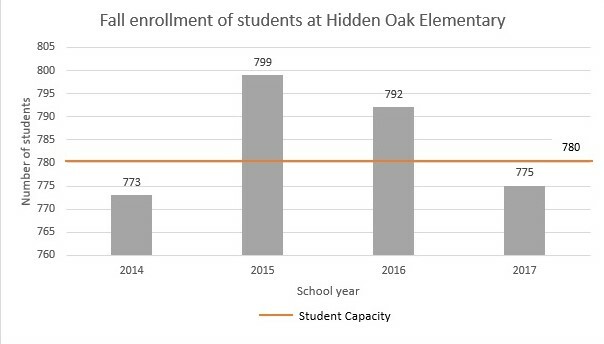 Hidden Oak Elementary is dealing with similar overcrowding issues, but now it is at its capacity. Over the years, the school added portables to deal with the increase in students. This past summer, an eleventh portable was added on the campus — six on one side and five on the other. 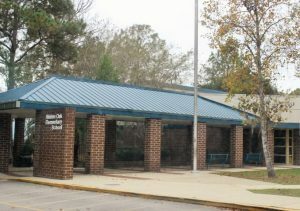 The portables hold different types of classes including ESE (exceptional student education), gifted, and reading classes. “They’re added as the need arises,” Kuhn said. Hidden Oak also has to start student lunches as early as 9:45 a.m. in order to accommodate everyone, Kuhn said. “Our official capacity is 780 students, as determined by our school’s facilities department, and we are currently at 99.4 percent of that,” said James Kuhn, principal of Hidden Oak Elementary. In the last four years, Hidden Oak has hovered between 99 percent to 102 percent capacity. Enrollment data provided by Alachua County Public Schools. 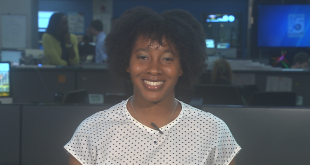 While schools throughout the county are struggling to find space for students, Eileen Roy, Alachua County School Board Member for District 2, said the problem is much greater in west Alachua County due to rapid development. 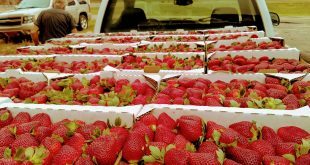 There are a lot of different theories to why more development happens in west Alachua County versus east Alachua County, said Steve Lachnicht, director of the Alachua County Department of Growth Management. There are also socioeconomic issues. Virtually nothing is under development in the east at the moment except a few individual home permits and other small projects, unlike the west where multiple new residential areas are under construction, he said. The school district is developing a county-wide comprehensive plan that will include a list of proposed projects such as replacing portables, upgrading classrooms, adding capacity and renovating facilities. Alachua County Public Schools is hoping to fund the plan using a half-cent sales tax that, if approved by the voters during the 2018 general election, would last 12 years and so would the plan. The plan will include needs assessments by the district’s facilities department and input from school communities in the county, Johnson wrote in an email. The county is also planning to build a new elementary school. Johnson said the state already approved the plans for the school, but the district has not yet settled on a location, although it will most likely be developed in the western part of county to provide relief to the most overcrowded schools. 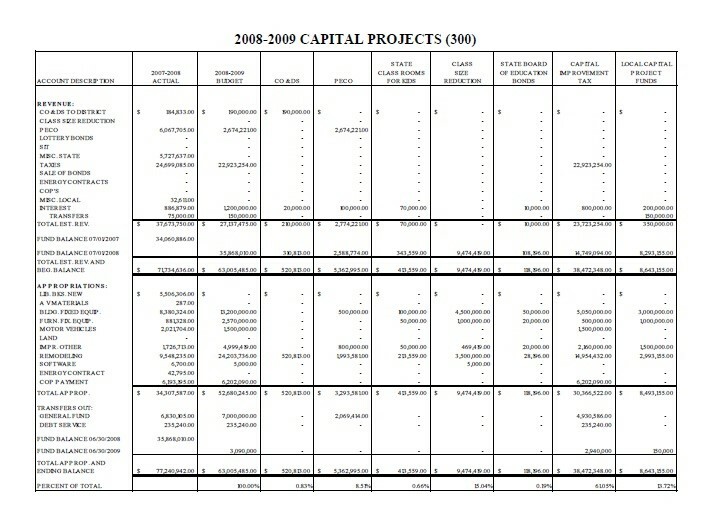 The district must also find the money to build before construction can begin. Over the past decade, the state has cut millions of dollars of funding for Alachua County Public Schools. “In the last 10 years, decisions made by the state of Florida have cost our district about $169 million in facilities funding alone,” Johnson said. The state cut property taxes from a rate of 2.0 millage to 1.5 (one mill is $1 per $1,000 of a property’s taxable value) in 2008 during the Great Recession, where it has remained. “We’ve lost millions of dollars,” Roy said. 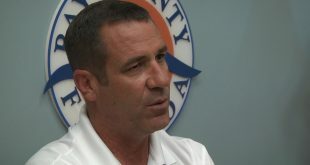 In 2017 alone, the .5 mill that was cut by the state would have brought about $7 million to Alachua County Public Schools, Alex Rella, assistant superintendent for Business Services at Alachua County Public Schools, wrote in an email. The state also cut the amount of funding public schools receive from the Required Local Effort , an ad valorem property tax levied by the county and paid to the Florida Education Finance Program. The state legislature has changed its position on the topic in the past few years and decreased the RLE rate so there is no tax increase, as defined by the state, on property owners, Rella wrote. 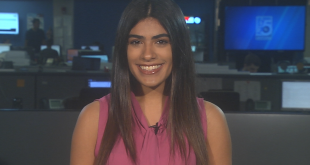 “The result of this policy has been a significant reduction in local contribution that would help public education keep up with industries and provide an adequate funding for the education we all want,” Rella wrote. 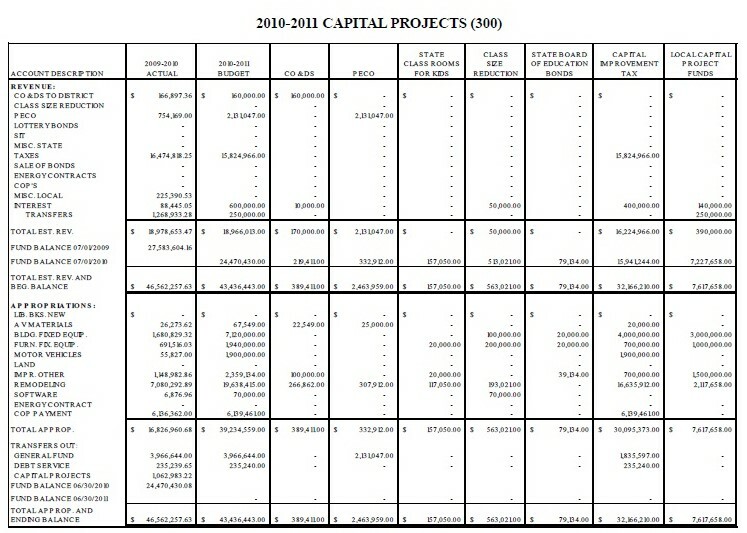 The Required Local Effort and the millage the state cut from 2 mill to 1.5 mill since 2008 are separate millages and are used for different purposes. The Required Local Effort is used for general operations and the 1.5 mill is used for capital, but the state legislature does limit the amount of local tax rates the school district can use for both, Rella wrote. Adding to the problem is House Bill 7069, which requires the district to turn over about $650,000 of its facilities funding for 2017 to the 13 local charter schools, Johnson said. Governor Scott signed HB 7069 into law in June 2017. 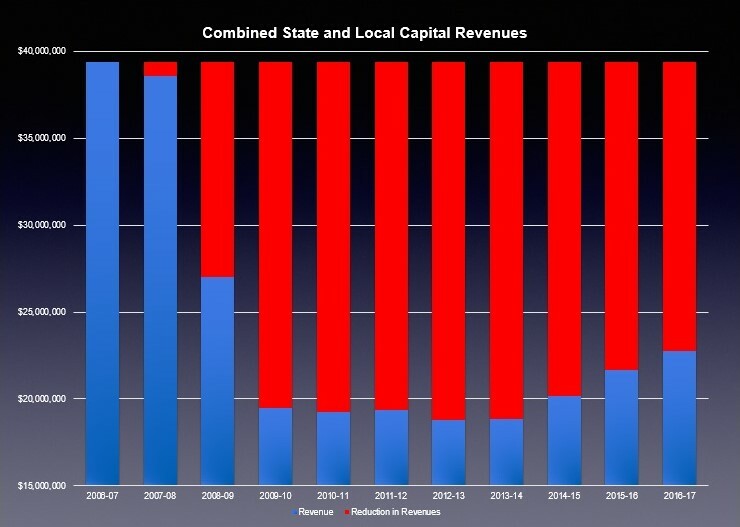 The school district also lost money when the state cut the amount of Public Education Capital Outlay (PECO) funds it receives during 2011 – 2012 school year. 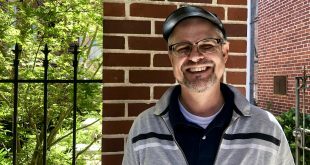 “The PECO money used to be given 100 percent to public schools and then … they (the state) took it away from public schools and gave it all to charter schools for three years,” Roy said. 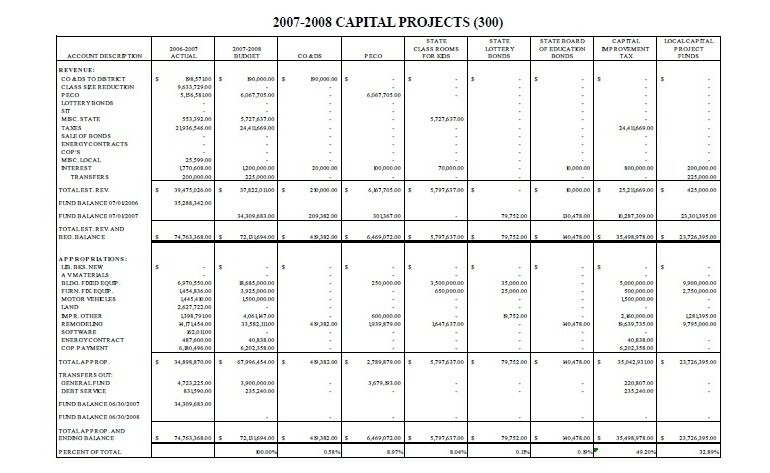 Before the state reallocated PECO funds to charter schools, Alachua County Public Schools received about $2.1 million in 2010, $754,000 in 2009, $2.6 million in 2008, and $6 million in 2007, according to school district budget summaries. 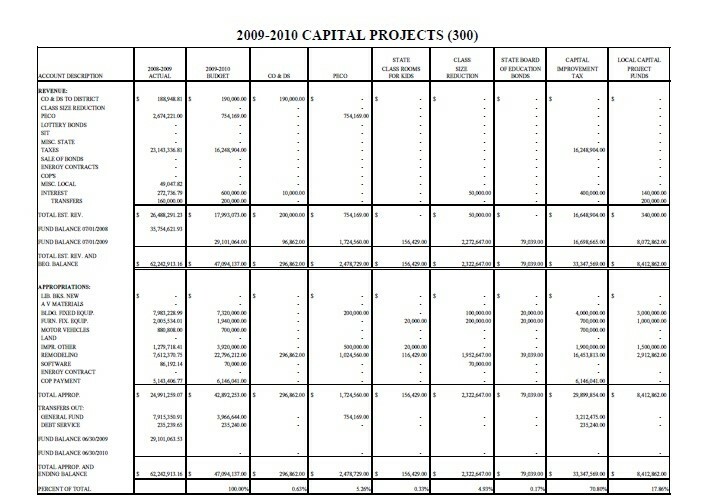 From 2011 to 2014, the school district did not receive any PECO funds from the state. When the state began reallocating PECO funds back to public schools for the 2014 – 2015 school year, Alachua County Public Schools received $515,817. 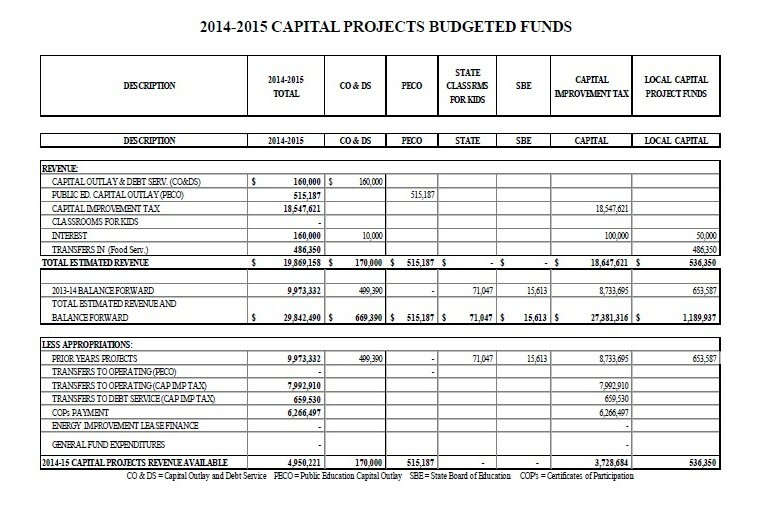 Chart received from Alachua County Public School’s 2014-2015 school year executive budget summary. Due to the loss in state funding, the district has had to sideline its plans for a new elementary school and delay repairs to its most neglected schools. To make up the difference, the school board is asking voters to approve a half-cent sales tax increase next year during the November 2018 general election. The extra sales tax would help Alachua County Public Schools repair and renovate its facilities and build new schools. “It brings us into equity with all the counties surrounding us which already have 7 percent,” Roy said. 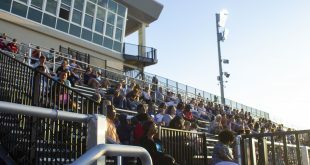 About a third of the tax would come from visitors, such as those who come to the area for the Gator football games and stay in local hotels and eat at local restaurants, Roy said. The average homeowner would only have to pay about $58 extra a year. 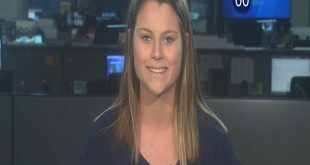 Summer Jarro is a WUFT news reporter and third-year journalism student at UF who can be contacted at 352-392-6397 or s0945834@ufl.edu.